One of the most important aspects of life, and consequently a building, is light. The excessive use of energy is consuming the world’s resources, but fortunately today we have promising options to consider when constructing a building. Starting here, you can learn some solutions to achieve sustainable lighting in future construction projects. An example of efficient daylight usage. 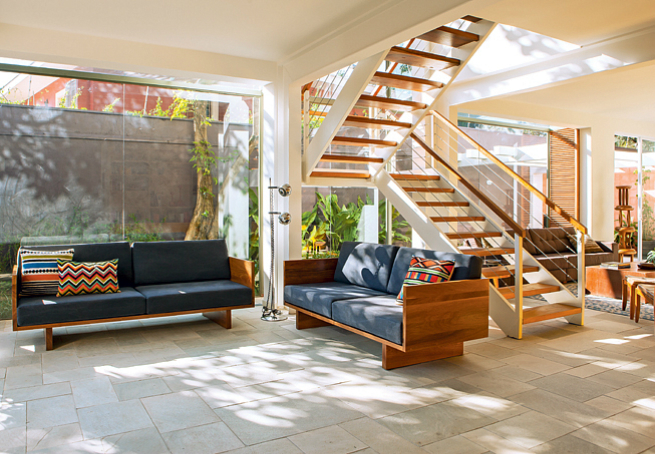 Image via Casa e Jardim. The first, basic and most important lighting solution to consider is day lighting. Above all, a builder must consider the orientation of the sun and design with the use of glazing for natural light openings. The construction must enable the longest possible exposure time with comfortable, natural lighting, rather than artificial lighting. When the internal environment is devoid of natural light, we must consciously choose a source of artificial lighting with strong environmental benefits. These should consume very little electric power and be of high efficiency. Incandescent lamps emit too much infrared radiation, which is bad for everyone. For now, the best choice is using LED lights, which exhibit high efficiency and a long working life, effectively reducing maintenance costs. 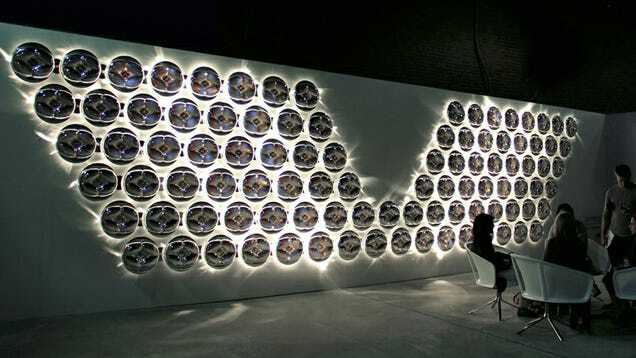 These ultra-efficient reflectors light a room using only one LED. Image via Gizmodo. Light fixtures are a small part of a building, but they affect sustainability in a big way. The best choice is a lamp that allows the least possible wastage of light, while offering optimal visual comfort. In another words, these two aspects (minimal light wastage and comfort) should be balanced. Furthermore, in order to avoid unnecessary discomfort and unnecessary expenses, the distribution of light should be made according to a room’s function. A small but important step towards sustainability in architecture is to turn off lights and other consumers of energy while not in use, avoiding unnecessary waste of electrical energy. As encouragement, you can make friendly reminders to do so and distribute throughout your house or work space, and raise awareness between the people you know. A good way to control the use of unnecessary energy is by using sensors combined with intelligent light systems that automatically conserve energy. For example, during the day the sensors would reduce the use of artificial energy and prioritize the daylight. During the night, the sensors would automatically turn off lights in rooms with little or no movement after a certain amount of time, like in hallways. 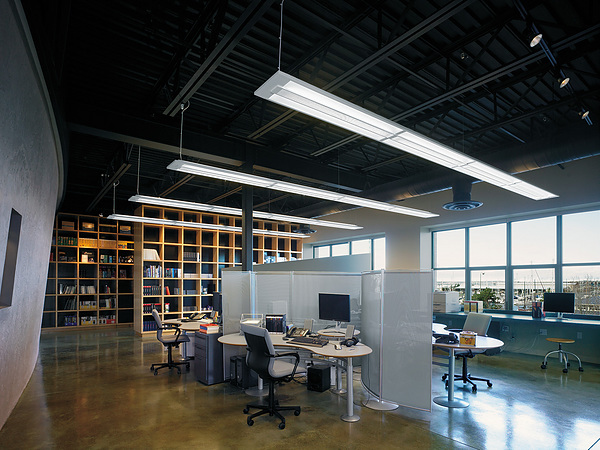 Offices are high use areas and require relatively high lighting. Image via JP Office Workstations. By determining and designing each space according to a function, it’s possible to reduce a huge amount of electrical energy usage. For example, a car garage does not need to consume the same amount of energy as a kitchen or office. It’s important to analyze the expected activities of an area, and then choose the most accurate light ratio that best fits the room. 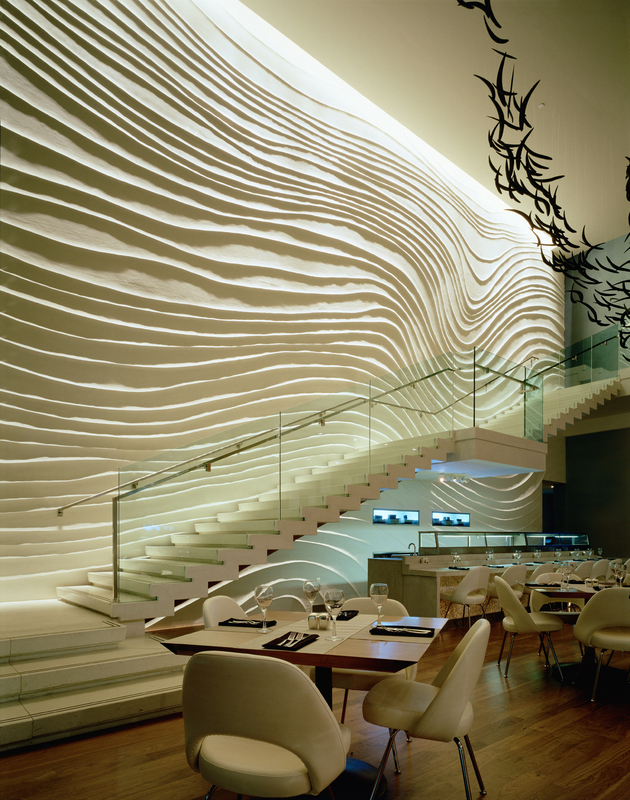 Textured walls create an appealing and highly efficient grazing light effect. Image via ArchDaily. By utilizing bright furniture and surfaces, interior spaces will have high reflectivity and be much more comfortable to live in. Not to mention, it would be more economical. Try using matte colors and avoiding dark surfaces that cause uncomfortable warmth. You can also make very interesting walls of light using grazing light techniques. Featured Image: A Well-Lit Kitchen, “Apex Venice Noce Marino.” Image via Steve Larkin. Luiza Moruz is a Brazilian Architecture student of Federal University of Bahia but currently studying in the University of Miami, United States. Has a particular love for design, innovations and the environment. Pinterest and Photography addict.